are provided with the tools to become critical thinkers: to ask questions, to apply rules and develop models, and to evaluate the outcome. In addition, Steven and Susan Zumdahl crafted ChemWork, an online program included in OWL Online Web Learning to support their approach, much as an instructor would offer support during office hours. 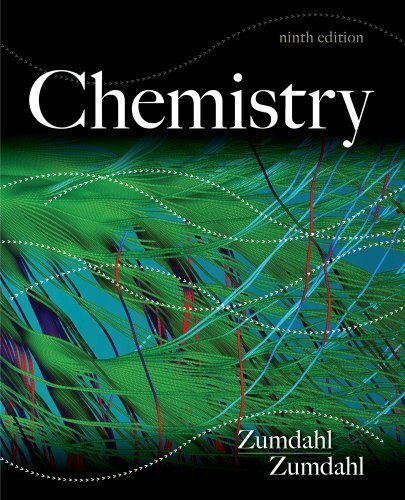 ChemWork is just one of many study aids available with CHEMISTRY that supports the hallmarks of the textbook--a strong emphasis on models, real world applications, visual learning, and independent problem solving. Susan A. Zumdahl earned a B.S. and M.A. in Chemistry at California State University--Fullerton. She has taught science and mathematics at all levels, including middle school, high school, community college, and university. She is past director of the Merit Program for Emerging Scholars in Chemistry at the University of Illinois. In addition, she spearheaded the development of a sophisticated web-based electronic homework system for chemistry and is co-author on several chemistry textbooks.